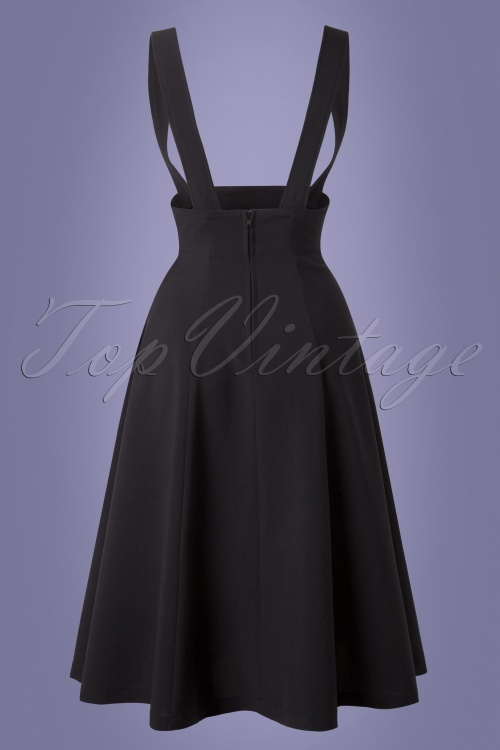 The Jumper Swing Skirt in Black by Tatyana is an elegant high waisted skirt with straps. 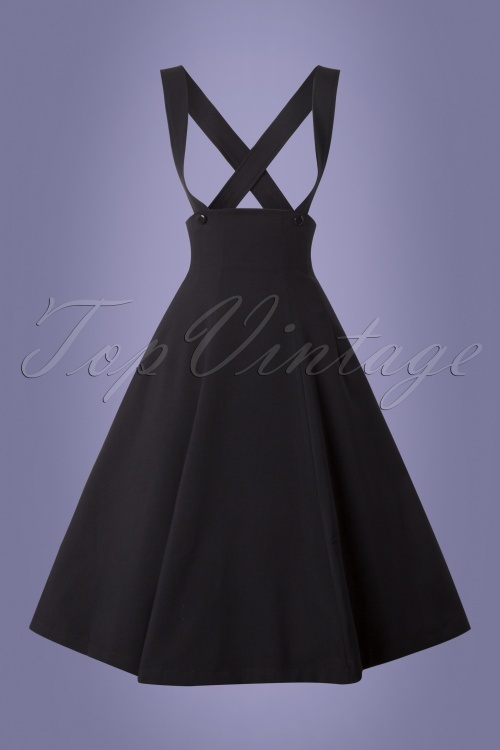 This playfull thing has flattering subtle vertical seamings and runs into a full circle skirt. 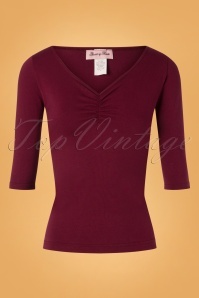 Made of a poly/spandex double knit jersey with a light stretch for a figure hugging fit. 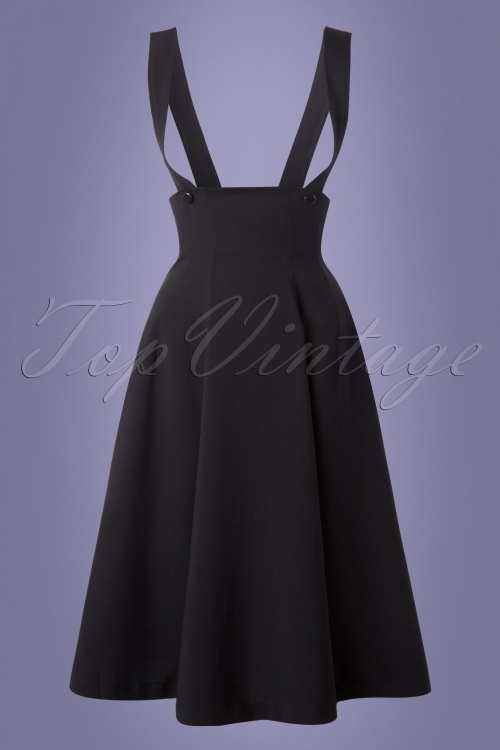 The straps are adjustable with 2 buttons and can also be worn crossed at the back. Pair it with a petticoat to add more drama as shown on the pictures. Backside zip and hits below the knee with a height of 1.70 m / 5'7". Ik ben echt heel blij met dit item. Hij is wel langer dan ik had gedacht, maar ik ben dan ook best klein (1,63). Toch houd ik hem graag...gestreept truitje eronder en laarsjes...en dat voelt echt heel vrouwelijk! Schöner Rock. Guter Schnitt. Stoff nicht wintertauglich. Hallo Malou, es tut uns sehr Leid dass Sie so enttäuscht sind und der Rock nicht wintertauglich für Sie ist. Wir nehmen den Rock selbstverständlich zurück und sorgen dafür dass der Kaufbetrag schnellstens wieder auf Ihr Konto überwiesen wird. Again I could have gone for the S, chose the M as the fitting advice said no stretch. Worked out in the end though since I wear this at work quite a bit. And working with kids, being able to move is quite handy. Next time I'll get an S though.